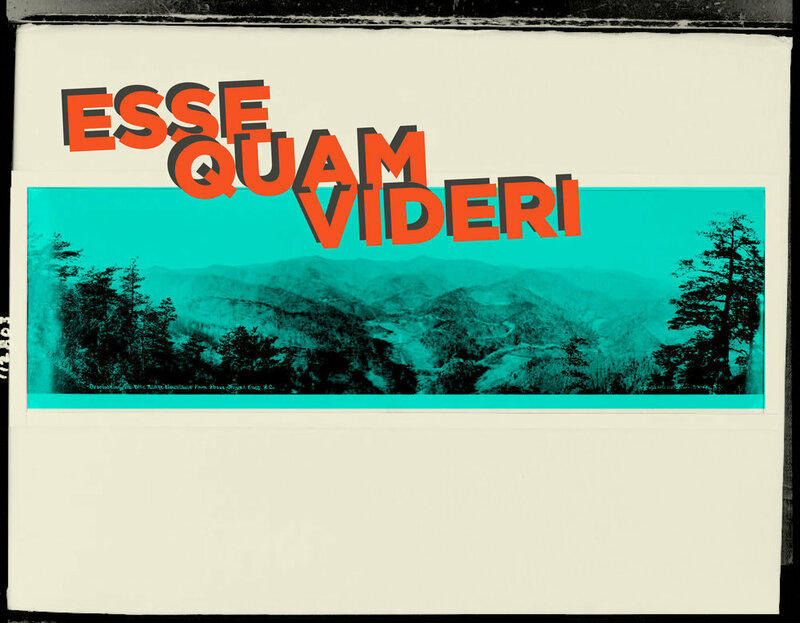 Esse Quam Videri (the North Carolina state motto, translating as “To be, rather than to seem”) is an exhibition exploring North Carolina, its history, culture, and landscape, through the lens of disability. There are many experiences which we all share: romantic and familial love, employment, citizenship, education, and caregiving, to name a few. People with disabilities have typically been erased or considered disqualified from these experiences, yet they too participate in them. Following the curatorial theme of the overarching EVERYDAY project, this exhibition will showcase works that tell stories unique to North Carolina, using universal experiences or ideas, but presented in audacious ways—particularly based in the audacious knowledge and creativity that disability brings to them. “To be, rather than to seem”: how can we explore through disability representation and disability aesthetics what disability history, knowledge, and culture is relative to North Carolina? This exhibition will serve as an introduction to the National Humanities Center’s fall cohort of fellows who are predominantly from outside the North Carolina and even the United States. Professor of English at Davidson College, Dr. Ann Fox specializes in modern and contemporary dramatic literature and disability studies, regularly teaching classes about disability in drama, literature, and visual art. Her scholarship on disability and theater, and disability and visual culture has been published widely, and she has co-curated three disability-related visual arts exhibitions at Davidson College: RE/FORMATIONS: Disability, Women, and Sculpture; STARING(based on Rosemarie Garland-Thomson’s book of the same name), and Re/Presenting HIV/AIDS. She is the 2017-18 Boswell Family Faculty Fellow at Davidson, and is currently working on a project on disability aesthetics in drama entitledAdaptive Activism: How Disability Refigures the Cultural Landscape.